I would also like to thanks the three ladies who took care of the awards from start to end: Amanda Webb, Lorna Sixsmith and Beatrice Whelan. 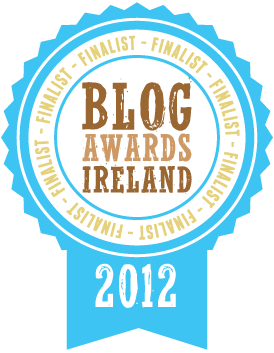 It was a great event and it allowed Irish blogging community to come together. Hoping there will be an other such nice event in 2013, I wish you all a nice week-end. Good for you – You did so well to get as far as you did. I hope you still celebrated.